The doctrine of separation from “the unclean thing” is neglected today by professing Christians, but it is still here in God’s Word. The context indicates that Paul is warning against Christians being “unequally yoked together with unbelievers” and urging us to “cleanse ourselves from all filthiness of the flesh and spirit, perfecting holiness in the fear of God” (2 Corinthians 6:14; 7:1). Such separation does not mean having no contact at all with unbelievers, “for then must ye needs go out of the world” (1 Corinthians 5:10), whereas Jesus commanded, “Go ye into all the world, and preach the gospel to every creature” (Mark 16:15). He also prayed to the Father, “not that thou shouldest take them out of the world, but that thou shouldest keep them from the evil” (John 17:15). He does demand, however, that we are not to compromise with unbelief or with the unclean thing. We are “born again” into the family of God through simple faith in the person and saving work of Christ; but the full manifestation and fellowship of our relation with the heavenly Father as His spiritual sons and daughters is evidently, in this passage, conditioned on the vital principle of separation from all unbelief and filthiness of the flesh, with Jesus as our example (Hebrews 7:26). This remarkable passage, quoted also in Hebrews 1:10-12, anticipates the famous second law of thermodynamics, or law of entropy, indicating that everything in the physical universe is growing old and wearing out. God created everything in the beginning, winding it up like a great clock, so to speak. Because of sin and the curse, however, it has been running down and “perishing” ever since. Jesus also said, “Heaven and earth shall pass away” (literally “are passing away”) (Matthew 24:35). This universal scientific law is also anticipated in Isaiah 51:6: “The earth shall wax old like a garment, and they that dwell therein shall die in like manner.” That is, the law of decay and death applies both to the earth and its inhabitants. The concept of universal evolution is clearly refuted both by Scripture and true science. Note that our text also anticipates that, although the earth is growing old and seems about to die, it will suddenly be changed, like a garment. The old garment will be discarded and a new garment put on. Peter puts it this way: “The heavens being on fire shall be dissolved, and the elements shall melt with fervent heat? Nevertheless we, according to his promise, look for new heavens and a new earth, wherein dwelleth righteousness” (2 Peter 3:12-13). But it was not until He had risen from the dead, He who was “the firstborn from the dead” (Colossians 1:18), the “firstfruits of them that slept” (1 Corinthians 15:20), that His disciples, and indeed all who would “believe on [Him] through their word” (John 17:20), could be made “sons of God” (Romans 8:14). “And if children, then heirs; heirs of God, and joint-heirs with Christ” (Romans 8:17). This high standing comes as a fulfillment of His determination to “be the firstborn among many brethren” (v. 29). One of Paul’s major messages to his young disciple Timothy was to strive for purity in every area of his life. Compromise and impurity were not to be glossed over; they were to be vigorously opposed. Concerning purity in doctrine, Paul charged, “Study to shew thyself approved unto God, a workman that needeth not to be ashamed, rightly dividing the word of truth” (2 Timothy 2:15). He was to “charge” his followers not to wrangle over trivial issues and not to listen to false teaching (v. 14). They were to “shun” vulgar and empty talk, knowing that such will only lead to more impurity and doubt (vv. 16-18). Furthermore, he was to actively “oppose” those who taught or lived by any other code, doing everything possible to “recover” those ensnared by satanic lies (vv. 25-26). A prerequisite for an effective battle for purity in doctrine is purity in character. 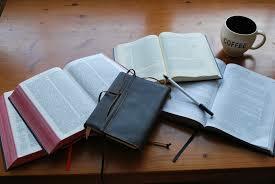 A Christian leader must be prepared for the work. “If a man therefore purge himself from these [i.e., false teaching, practices, and attitudes], he shall be a vessel unto honour, sanctified, and meet for the master’s use, and prepared unto every good work” (v. 21). In the Bible, the common occupation of sowing seed is frequently used as a symbol of witnessing for the Lord. Unlike an actual farmer, however, Christian seed-sowers are to engage in their occupation perpetually, day after day, morning and evening, everywhere they go. “Cast thy bread upon the waters,” the wise preacher said, “for thou shalt find it after many days” (Ecclesiastes 11:1). The sowing is often difficult but is necessary before the fruit can grow, and the promise is that “they that sow in tears shall reap in joy” (Psalm 126:5). Often others may reap the fruit of our seed-sowing labors (or we may reap the fruit of theirs), but that is all right, for Christ Himself said that “one soweth, and another reapeth” so that “both he that soweth and he that reapeth may rejoice together” (John 4:37, 36). Paul said, “I have planted, Apollos watered; but God gave the increase” (1 Corinthians 3:6). Some seed, faithfully sown, may not seem to grow at all. In Christ’s great parable of the sower, much of the seed fell by the wayside or on rocky or weed-infested ground, but “other fell into good ground, and brought forth fruit” (Matthew 13:8). It is our job to be sure that the seed we sow is good seed, wherever we go—by word, by life, by giving, by listening, by our very presence, by praying, by whatever we say or do or even think—and then to trust God to bring forth the fruit according to His own perfect will.